Steven (“Steve”) Pockrass is Co-Chair of the firm’s Wage and Hour Practice Group. In this position, he helps clients and attorneys throughout the firm deliver proactive and responsive solutions to federal and state wage-hour questions and concerns. Steve coordinates wage-hour resources within the firm and works on a variety of wage-related issues, ranging from evaluating whether certain job positions are properly classified to defending collective and class actions. In addition to focusing on the complexities and nuances of the federal Fair Labor Standards Act, he regularly counsels and represents employers on issues related to Indiana’s wage laws.While wage and hour matters have become an increasingly large part of Steve’s practice, he also continues to advise and defend management on a full range of labor, employment and personnel matters. He represents employers in federal and state court litigation, as well as arbitrations, investigations, administrative proceedings and collective bargaining. He provides training; drafts and reviews policies, handbooks and contracts; and conducts internal investigations. Throughout his career, Steve has devoted significant attention to advising employers on medical leave, accommodation and related issues under the Family and Medical Leave Act, the Americans with Disabilities Act, the Indiana Worker’s Compensation Act, and other federal and state laws. In addition to representing employers in lawsuits and administrative matters arising out of these leave-related laws, he has extensive experience defending against claims and lawsuits involving allegations of employment discrimination, harassment and retaliation under Title VII of the Civil Rights Act of 1964 and the Age Discrimination in Employment Act. For more than 15 years, Steve has represented employers in post-employment non-compete, trade secret and related litigation, with an increasing emphasis on the use and protection of electronic data and information. 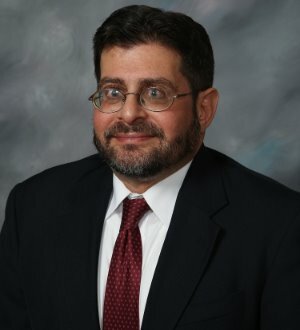 He works with and advises entities on their document and data retention policies, their electronic information and social media policies, the litigation hold process, and the collection and production of electronically stored information during litigation.Steve is AV rated by Martindale-Hubbell, the highest rating an attorney can receive. He also was recognized as an Indiana “Super Lawyer” in 2010, 2011, 2012 and 2013 and was named to Best Lawyers in 2013.A frequent speaker and writer, Steve is the appendix editor of the FMLA treatise published by BNA Books. He is a member of the American Bar Association Section of Labor and Employment Law’s Fair Labor Standards Legislation Committee and has been a contributing author of several annual Midwinter Meeting Reports of the FMLA Subcommittee. He also is a member of the Defense Trial Counsel of Indiana and has served on the DTCI Board of Directors and as chair of the DTCI Employment Law Section.An Eagle Scout, Steve is active in the community. He serves on the Board of Directors for the Crossroads of America Council, Boy Scouts of America, and on various Council committees. He also is a former member of the Board of Directors of the Day Nursery Association and is a former member of the Indianapolis Equal Opportunity Advisory Board. Prior to attending law school, Steve worked as a newspaper reporter for The Indianapolis News, as a free-lance writer, and as Communications Director for the Indiana Housing Finance Authority.